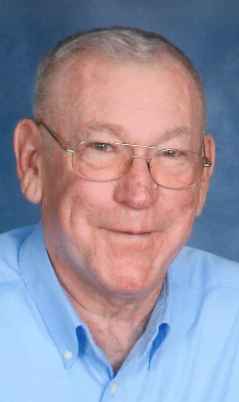 Joseph F. Garvin, 79, of Fremont, OH passed away on Monday, September 11, 2017 at Stein Hospice in Sandusky, OH. He was born on August 1, 1938 in Vickery, OH, the son of Frank and Lillian (Scheaffer) Garvin. He was a 1956 graduate of Fremont Ross High School. Joe served in the Ohio National Guard for six years. He married Mary A. Burmeister on June 19, 1968 and she preceded him in death on November 7, 2013. Joe was a Die Maker for over thirty years at the Ford Motor Company in Sandusky. He has also owned Garvin Tool & Die since 1964. He was a member of Sacred Heart Catholic Church. Joe is survived by his sons, William Garvin, Vickery, OH, Michael Garvin, Sandusky, OH and Theodore (Cindy Finley) Garvin Castalia, OH; sister, Ann (Patrick) Ziebold, Fremont, OH; grandchildren, Jessica and Joseph Garvin, Danielle and Tyson Pengov; three great grandchildren. He was preceded in death by his parents; siblings, Rosemary Schwartz, Elizabeth, Theodore, John, Robert and Thomas Garvin. A private graveside service will take place at St. Mary Cemetery in Clyde, OH at a later date. Memorials can be made to Stein Hospice, 1200 Sycamore Line, Sandusky OH, 44870 or Donor’s Choice. To the Garvin family, So sorry to hear of your Fathers passing. We will miss seeing your Dad’s white truck going by our house daily (many times) to check on you boys at work. Mr. Garvin always waved when passing our house in Erlin and was quick to help me out when a tree fell in our driveway. Our sympathies to his family and especially to our “neighbors” at the shop in Erlin. We’re very sorry for your loss. The Class of 1956 send our Sympathies for the Loss of our classmate Joseph. We will miss him very much, Prayer go out to your Family. family please accept my deepest condolences. May God’s promises found at Acts 24:15 and Psalms 37:29 bring you comfort during this difficult time.